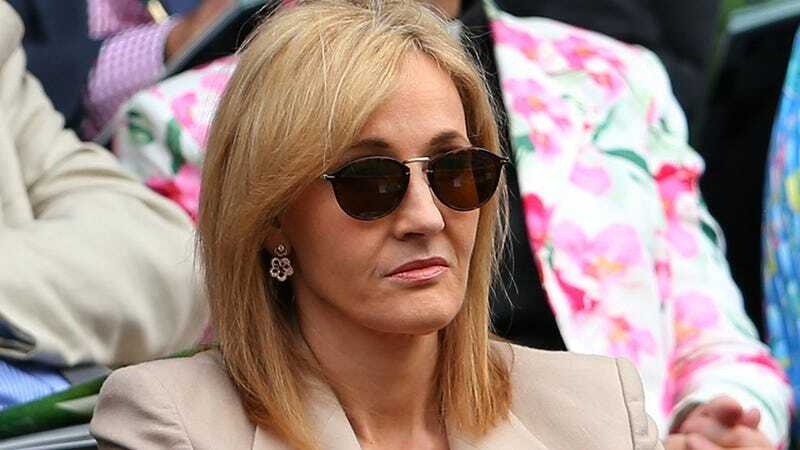 J.K. Rowling was interviewed by Emma Watson for an upcoming issue of Wonderland magazine and she dropped a bombshell. "I wrote the Hermione/Ron relationship as a form of wish fulfillment," she says. "That's how it was conceived, really. For reasons that have very little to do with literature and far more to do with me clinging to the plot as I first imagined it, Hermione ended up with Ron." "I know, I'm sorry," she continued, "I can hear the rage and fury it might cause some fans, but if I'm absolutely honest, distance has given me perspective on that. It was a choice I made for very personal reasons, not for reasons of credibility. Am I breaking people's hearts by saying this? I hope not." Are you guys okay? Do you need to talk about it? Let's all be here for each other.